CAPE CANAVERAL, Fla. — The space shuttle Atlantis soared into the heavens and the history books Friday (July 8), kicking off the last-ever mission of NASA's storied shuttle program. Despite a bleak forecast of thunderstorms and clouds, the shuttle beat the weather in a stunning midday launch, sailing into the sky on one final voyage. The coutndown toward liftoff took a dramatic pause at T minus 31 seconds while ground crews verified that a vent arm at the top of the shuttle was fully retracted. NASA was quickly able to push on toward liftoff. Atlantis blasted off at 11:29 a.m. EDT (1529 GMT) from Launch Pad 39A here at NASA's Kennedy Space Center, thrilling huge throngs of spectators who had descended on Florida's Space Coast to see the swan song of an American icon. NASA estimated that between 750,000 and 1 million people turned out to watch history unfold before their eyes. "On behalf of the greatest team in the world, good luck to you and your crew on the final flight of this true American icon," shuttle launch director Mike Leinbach told the astronauts just before launch. "And so for the final time, Fergie, Doug, Sandy and Rex, good luck, Godspeed and have a little fun up there." "Thanks to you and your team, Mike. We're not ending the journey today, we're completing a chapter of a journey that will never end," Atlantis' commander Chris Ferguson replied. "Let's light this shuttle one more time Mike and witness this nation at its best. The crew of Atlantis is ready to launch." Atlantis and its four-astronaut crew are headed for a rendezvous with the International Space Station. The main goal of the shuttle's 12-day flight — Atlantis' 33rd mission after nearly 26 years of flying — is to deliver a year's worth of supplies and spare parts to the orbiting lab. But the world's attention is fixed more on what Atlantis' last mission means than on what it will accomplish in orbit. "For an entire generation who grew up with the space shuttle, this is a moment that won't be appreciated for some time to come," said space history expert Robert Pearlman, editor of collectSPACE.com and a SPACE.com contributor. "People have taken it for granted; I don't think its absence is going to be immediately felt." Commander Chris Ferguson is leading a skeleton crew of four on Atlantis' STS-135 flight. He's joined by pilot Doug Hurley and mission specialists Rex Walheim and Sandy Magnus. Other shuttle missions over the years have typically carried six or seven spaceflyers, but NASA wanted to use every bit of available space to pack extra cargo on this last drop-off mission to the station. The astronauts will deliver about 9,500 pounds (4,318 kilograms) of cargo to the station. Atlantis is also delivering several different science experiments, one of which — the Robotic Refueling Mission — is an attempt to demonstrate a way to refuel satellites robotically on orbit. In addition, Atlantis is also carrying two iPhone 4 smartphones loaded with apps to help astronauts perform experiments in space. This represents the first time iPhones have ever gone to space. Atlantis will chase the station down for a while, finally docking with the $100 billion orbiting lab on Sunday (July 10). The shuttle is scheduled to return to Earth for the final time on July 20. Until Atlantis rolls to a stop on the runway, the astronauts plan to focus on the tasks they have to perform over the next 12 days, putting off meditations on their mission's historic significance as much as possible. NASA's space shuttle program was born in January 1972, when President Richard Nixon announced its existence to the nation. Back in those days, the shuttle was billed as a breakthrough vehicle that could enable safe, frequent and relatively cheap access to space. "The shuttle era really was an effort to do a whole new kind of spaceflight," Valerie Neal, curator of human spaceflight at the Smithsonian Air and Space Museum in Washington, D.C., told SPACE.com. The shuttle program, she added, "held with it the promise of making space just a normal part of human endeavor." The first flight took place on April 12, 1981. Since then, the shuttle — the world's first and only reusable spacecraft — has become NASA's workhorse vehicle, with the five-shuttle fleet making 135 flights over three decades. 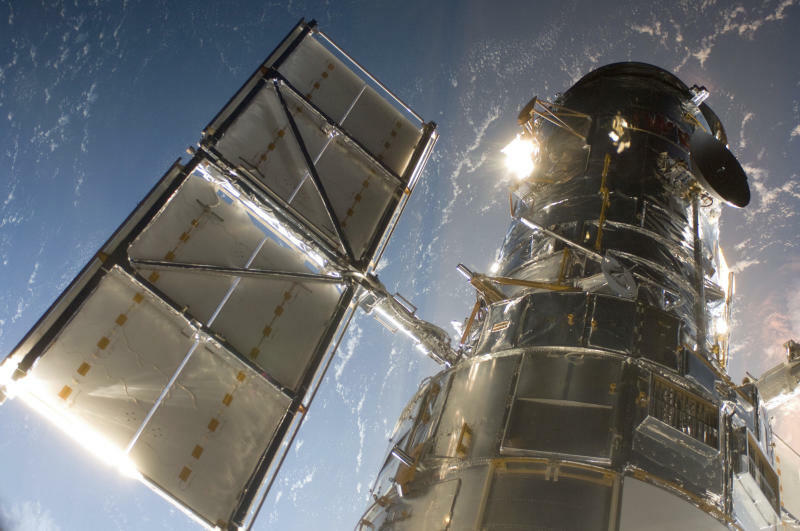 Some of these flights have deployed or repaired important pieces of scientific hardware, such as the Hubble Space Telescope. And many missions since 1998 have helped build the International Space Station, which is now nearly complete. In addition to these hardware accomplishments, shuttle missions have carried 355 different individuals from 16 different countries into low-Earth orbit, according to NASA officials. So the shuttle delivered on part of its promise, experts say, opening space up to many more people than had been possible previously and helping humanity develop its nascent capabilities in low-Earth orbit. But the space shuttle didn't turn out to be cheap or completely safe. NASA once estimated launches could cost as little as $20 million; they've turned out to run nearly $1.6 billion each. And two shuttle missions — Challenger's STS-51L flight in 1986 and Columbia's STS-107 mission in 2003 — ended in tragedy, killing a total of 14 astronauts. Ultimately, historians will likely debate the shuttle program's legacy for years to come. When Atlantis touches down later this month, its flying days will be over. But the orbiter will still have to be prepped for one final mission: educating the public about spaceflight, and perhaps inspiring youngsters to become astronauts themselves someday. Like the two other remaining shuttles — Endeavour and Discovery — Atlantis will become a museum showpiece. Atlantis won't have to go far; it will assume a place of pride in the Kennedy Space Center Visitor Complex here. Discovery is headed for the Smithsonian National Air and Space Museum, while Endeavour will make the trip west to the California Science Center in Los Angeles. Without the space shuttles, NASA will rely on Russian Soyuz vehicles to ferry astronauts to and from the space station, which is slated to operate until at least 2020. The agency wants private American craft to take over this taxi service eventually, but that probably won't happen for at least four or five years. For its part, NASA has begun shifting its focus beyond low-Earth orbit. Last year, President Barack Obama charged the space agency with sending astronauts to an asteroid by 2025, and then on to Mars by the mid-2030s. As exciting as both of these exploration prospects are, they remain far off, both in space and time. Right now, most thoughts are with Atlantis as it streaks toward the space station, its final mission closing out the life of a spacecraft that came to represent a nation in many ways. Over the years, the space shuttle became a symbol of America, its ambitious goals and its technological know-how, experts say. "The shuttle became a very powerful icon," Roger Launius, space history curator at the National Air and Space Museum, told SPACE.com, "just as serviceable an icon as the astronauts landing on the moon, in terms of national prestige abroad and pride at home."